Our call for London rioters to stop setting cars on fire accomplished at least one success — they didn't burn this Lamborghini Gallardo Spyder. Nope, they just cheerily beat the hell out of it. 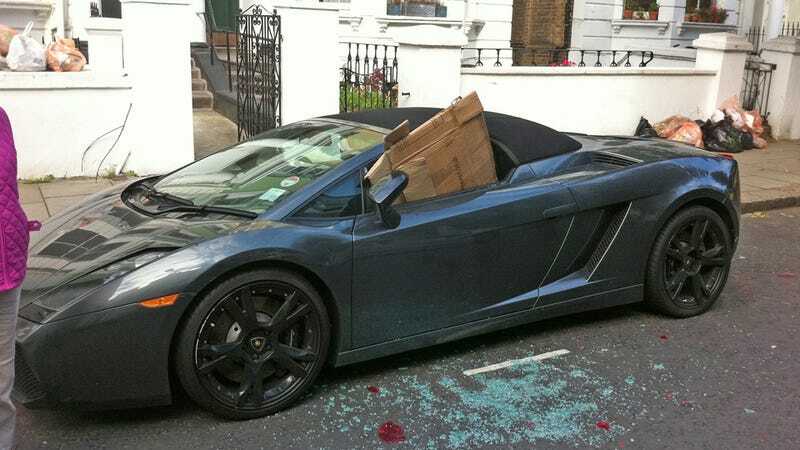 The Lamborghini was caught on camera sporting a temporary cardboard window in the city's Notting Hill neighborhood Tuesday. Yes, at least it wasn't burned.